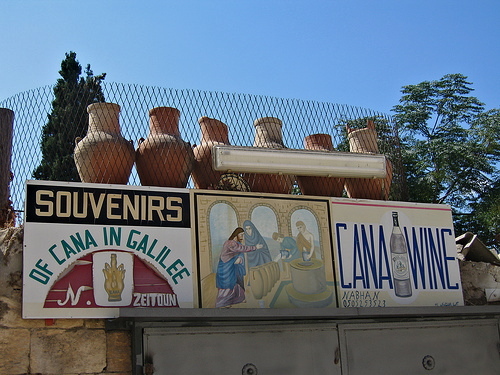 Cana in Galilee is celebrated as the scene of Jesus’ first miracle. It is actually the place of his first two public miracles in Galilee — the changing of water into wine and the remote healing of an official’s son 32km away in Capernaum. On the first occasion, Jesus and his first disciples turned up at a wedding feast, possibly that of a close relative of his mother Mary. The wine ran out — perhaps because those additional guests had not been catered for — and Mary turned to her Son to overcome the embarrassment (John 2: 1-11). “Woman, what concern is that to you and to me?” he responded. “My hour has not yet come.” But she persisted and her Son turned six jars holding more than 550 litres of water (equivalent to more than 730 bottles) into fine wine. This miracle is significant for Christian pastoral theology. Christ’s attendance at the wedding feast, and his divine intervention to rescue the hosts from embarrassment, are taken as setting his seal on the sanctity of marriage and, as the Catholic Encyclopedia puts it, “on the propriety of humble rejoicing on such occasions”. The incident is also seen as an argument against teetotalism. Jesus’ newest disciple at the time of the wedding was Nathaniel, who actually came from Cana of Galilee. Cana’s actual location is uncertain, with at least three possible candidates. 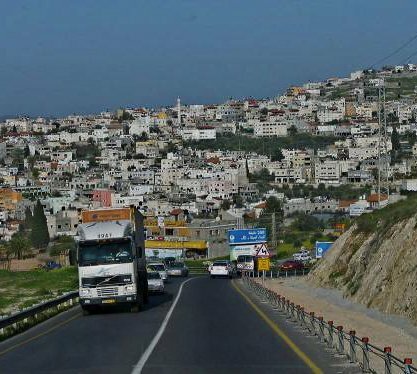 But the commemoration of the miracle of the wine is traditionally fixed at Kefer-Kenna (also known as Kefr Kana and Kfar-Cana), about 5km north-east of Nazareth on the road to Tiberias. 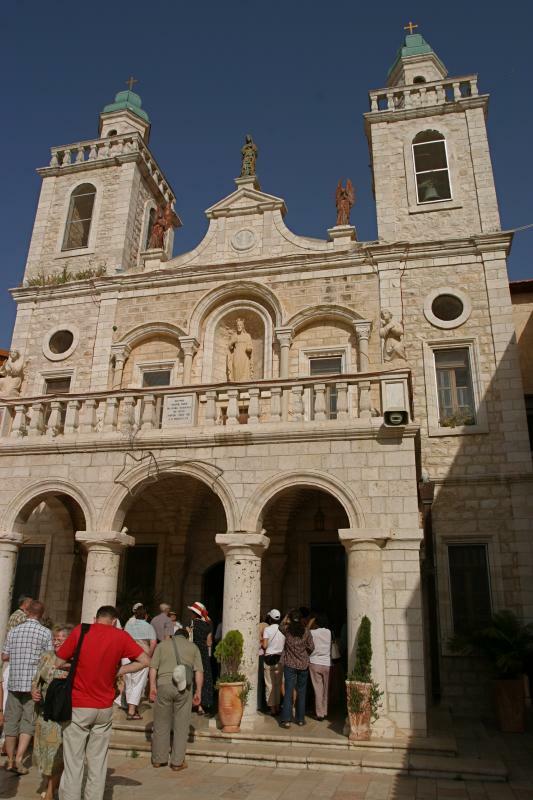 Here the Franciscans, relying on the testimony of early pilgrims including St Jerome, established themselves in 1641. And here streetside vendors sell Cana wine. The Franciscans believe excavations beneath their present church, dating from the early 1900s, confirm the existence of an early place of worship, perhaps a Jewish-Christian synagogue, on the site. Beneath the sacristy of the present Franciscan church were found remains of dwellings dated back to the 1st century and an ancient basilica with three apses in cross-like form. In a crypt a small stone cistern was found fitted into a flagstone floor. Not far from the Franciscan church is the Greek Orthodox Church of the Marriage Feast, with two large stone jars claimed to be two of the original water pots. But archaeologist Rivka Gonen says “they seem to be old baptismal fonts”. The town also has a chapel dedicated to St Bartholomew, who some scholars identify with Nathanael of Cana. The second time Jesus visited Cana, he was met by a distressed official of the court of Herod Antipas (John 4:46-49). The official lived at Capernaum — which Jesus was soon to make his home town — and he had come to plead for his son, who was dying. Jesus, who had earlier proved he could make good wine from water, now showed he could heal from 30km away. “Go; your son will live,” he told the official. Another possible site for Cana, preferred by many modern scholars, is the ruined village of Khirbet Kana (Khirbet Qana), 12km northwest of Nazareth.